We love transparency and will try our best to share everything about our business model here. If you still have questions about a particular product, we are one call away! We have state of the art equipment to design any custom jewelry for you. If you can conceptualize it, we can design it. Please email us a drawing or picture of a jewelry you’d like us to design, and on its basis basis, we will draw a CAD graphic design free of charge for you. If you like our design, we will proceed with the manufacturing of the jewelry – the process takes roughly 15 days. 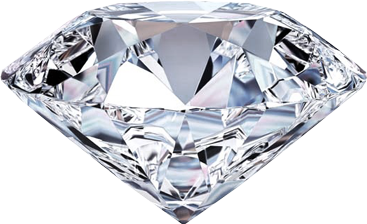 Petra Gems is a proud member of Rappaport and Rapnet – the largest diamond trading network in the world. If you don’t find what you’re looking for in our stock, kindly go through the list of thousands of diamonds that are daily listed by our partners in the Diamonds section. Once you find the right diamond, contact us and we will procure it for you. In compliance with Patriot Act, Petra Gems has instituted a comprehensive program that ensures we have all the necessary Know Your Client (KYC) information for all diamonds purchased. Petra Gems does not deal in uncut diamonds altogether. We also do our research to buy polished diamonds from partners that respect the Kimberley process. As a small business, we process our payments through the best financial institutions in the United States in order to avoid falling into the traps of money launderers. We also encourage our clients to pay us through PayPal or Bank Wires so that all transactions are electronic and verifiable. Please join us and become a family. We will treat you fairly and honesty. We will also provide you the best diamonds, colored gemstones and jewelry at the most affordable prices.